I just can't help it. When it comes to making a cake in a hurry, I almost always grab one of my bundt pans. Let's face it, there's very little decorating that has to be done to a cake baked in a bundt cake pan. Here are several Bodacious Bundt Cake recipes for your enjoyment. Please enjoy this recipe for a refreshing Fresh Lemon Pound Cake, a from-scratch cake baked in a Bundt Cake Pan. Want to make it taste even better? Be sure to top it with a Lemon Glaze. This Chocolate Marble Bundt Cake is the opposite of the famous Tunnel of Fudge Cake. This cake tastes so good. If you're a fan of vanilla wafers, you'll love this cake. Instead of flour, crushed vanilla wafers are used. This tried-and-true recipe for Bacardi Rum Cake makes the moistest cake you'll ever eat. It's the once cake I know of that gets better as it ages. Here is a photo of a Bundt Cake with Hazelnuts. Photo © 2010 Carroll Pellegrinelli, licensed to About.com, Inc.
What makes this bundt cake so special is that its made with Frangelico Liqueur. Try this Hazelnut Bundt Cake today. I baked the Lemon Poke Cake in a bundette cake pan. Photo © 2010 Carroll Pellegrinelli, licensed to About.com, Inc.
Vicki E. says this is "probably the most refreshing, light cake I have ever consumed." Thanks Vicki for this lovely Lemon Poke Cake recipe. This cake is so fragrant. Photo © 2010 Carroll Pellegrinelli, licensed to About.com, Inc. This Cinnamon Bundt Cake is lighter than most Bundts and the glaze tastes like the inside of a cinnamon roll. 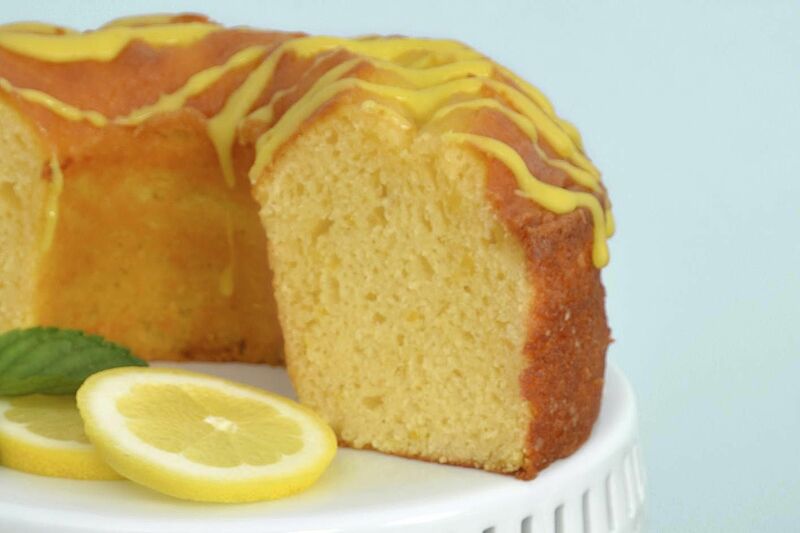 Lemon lovers will enjoy the intense lemon flavor in this cake. 2010 Limoncello Bundt Cake Photo by Carroll Pellegrinelli, licensed to About.com. I mailed this Limoncello Bundt Cake to my in-laws for their Christmas celebration. They said it arrived perfectly intact and tasted fabulous. This Black Russian Cake gets its name from the famous cocktail made with vodka and Kahlua, a coffee-flavored liqueur. I have fond memories of my mother making this cake, which is made from scratch and with 7UP. It's hard to decide when to eat this Scrumptious Blueberry Banana Cake. Of course, it makes a great dessert. It's hard not to want a slice with breakfast or as an afternoon pick-me-up with a nice cup of tea or coffee.